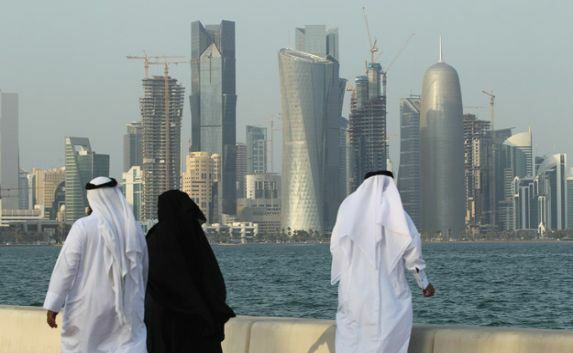 Qatar has emerged as the weakest housing market amidst a sharp economic slowdown and the adverse impact of the blockade it is suffering from other Gulf countries, said a report by Global Property Guide. This is not surprising given the region's ailing economy due to low oil prices and the ongoing political and diplomatic crisis. The Middle East's economy grew by just 1.1 per cent in 2017, the lowest level in eight years, stated the leading research house in its report. The housing sector in the Middle East region is in the doldrums, with two of the three weakest global markets - Qatar and the UAE. The other Middle Eastern housing markets are also depressed. However, the Egyptian housing market had been witnessing a steady growth during this period. Qatar's real estate price index dropped 16.91 per cent during the year to Q2 2018, after year-on-year (y-o-y) declines of 9.65 per cent in Q1 2018, 10.42 per cent in Q4 2017, 3.47 per cent in Q3 2017, and 4.52 per cent in Q2 2017, it added. The Gulf nation saw its poperty prices drop by 6.62 per cent quarter-on-quarter (q-o-q) during the latest quarter. The country's economy is expected to grow by a modest 2.6 per cent this year, after annual average growth of 2.1 per cent in 2016-17, 4.2 per cent during 2012-15, and 15.7 per cent in 2008-11, the report added. In Dubai, residential property prices fell 7.63 per cent during the year to Q2 2018, worse than the prior year’s 2.51 per cent decline, amidst weak economic growth, low investor sentiment, and an oversupply of housing. During the latest quarter, house prices in Dubai dropped 1.33 per cent q-o-q, said the statement. Unveiling the Egypt success story, the report said the housing market has risen over the past year, with the nationwide real estate index rising by 4.51 per cent during the year to Q2 2018, in contrast with the y-o-y decline of 5.32 per cent during the previous year. However, the house prices fell 9.91 per cent quarter-on-quarter during the latest quarter, said the report. Rapid house price rises should be expected in Egypt due to the dramatic inflation unleashed by more-than-halving of the currency's value in November 2016. That house prices have not risen more is surprising it stated. President Abdel Fattah El Sisi recently removed the last restrictions on foreign ownership of land and property in Egypt.